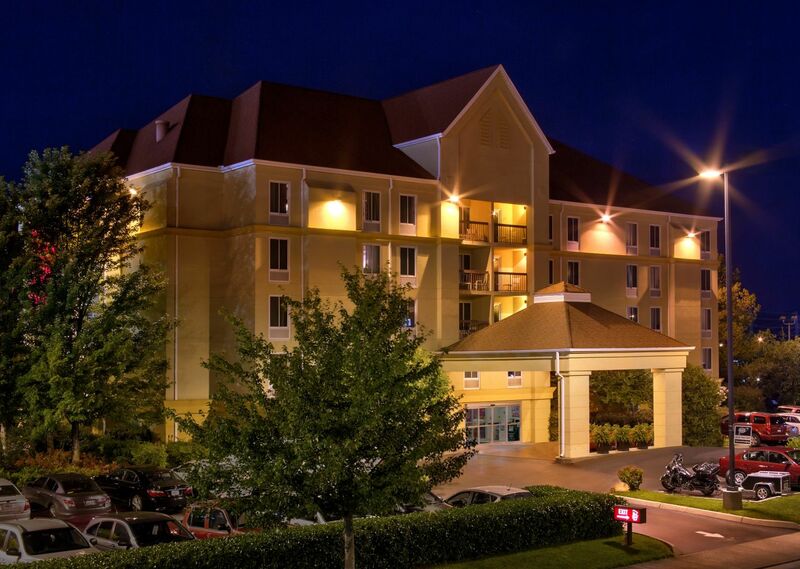 Rest assured that the best Pigeon Forge hotel rates can only be found in one place—through our website. Please review our Best Rate Guarantee and book your Pigeon Forge reservations with peace of mind. La Quinta Inn & Suites Pigeon Forge guarantees that every hotel reservation booked through our hotel website, www.laquinta-pigeonforge.com, is guaranteed to have the best rate publicly available on the Internet. If you find a rate for our hotel on another website lower than the best available Internet rate on the www.laquinta-pigeonforge.com website for the same room type, dates, rate payment requirements (e.g. full prepayment requirement), and restrictions, we will not only match the lower rate you have found, but we will also reward you for bringing it to our attention! On our website, you always have the widest variety of room types, rates, special offers and promotions to choose from - because we know one size does not fit all when it comes to travel. You can also rest assured that when you book with us there are no fees or hidden costs. If you have to change your reservation - we promise not to hit you with a penalty fee. Our hotel has a cancellation policy but we will make sure you know what it is. Found a better rate elsewhere? If you find lower rates at the time of booking, contact La Quinta Inn & Suites Pigeon Forge and we will match your rate at our hotel. If you have already made a reservation on the www.laquinta-pigeonforge.com website, we will honor the lower rate and offer an upgrade based upon availability. Remember: When you book with us, you have a chance to earn returns points with every rate and every offer. Returns points can be used to purchase gift cards, airline miles and even free night stays! So, join Returns today and book with us to maximize your point potential!